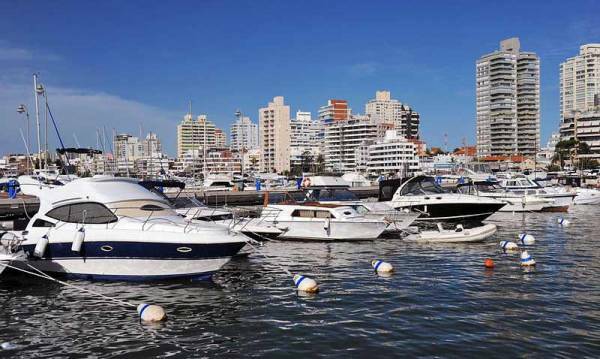 Punta del Este was our first tender on the Oceania Marina. It took 1.5 hours to disembark 900 passengers. 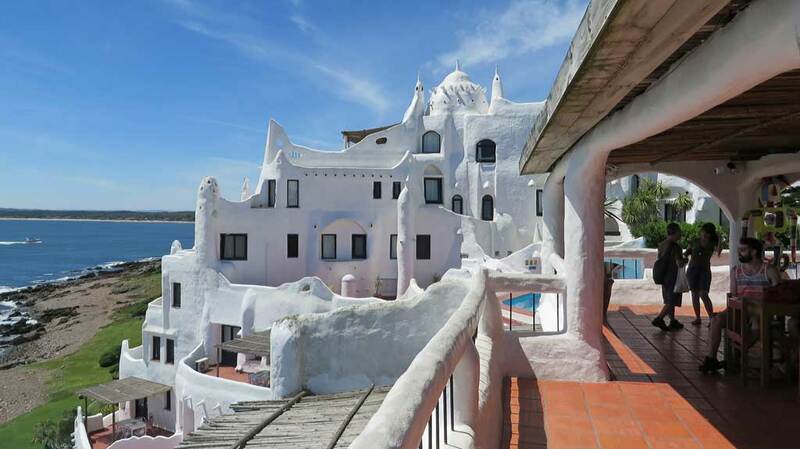 We decided take create a Punta del Este Shore Excursion on our own. 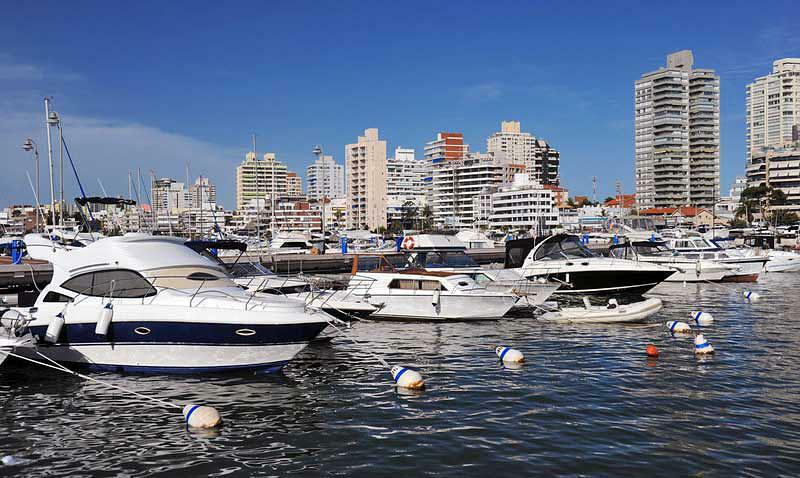 Punta del Este is a rapidly growing modern resort city of waterfront high rises used by the jet setters of South America. We started with a self guided walking tour from the tender pier. First we walked south on the point for about 4 blocks to the church of La Candeleria and the lighthouse. Then we walked about 20 minutes along the shops on the popular Avenue Gorlero. 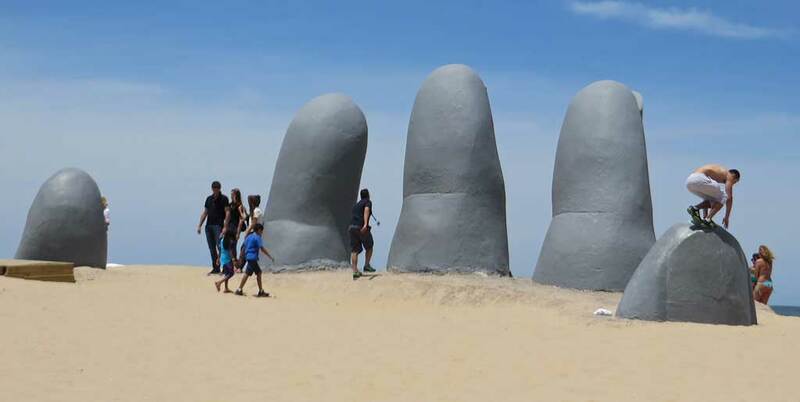 At the end of the avenue, we crossed to the beach and visited the statue of the Fingers in the sand at Playa Brava. From the Fingers, we then retuned to the port and negotiated a private tour of the city for $55 US. The guide was a former cruise ship employee who spoke excellent English and drove a new, quality van. He took us to the rich neighborhood known as Beverly Hills or also Hollywood. We drove past the Ralli Museum, which was closed that day. 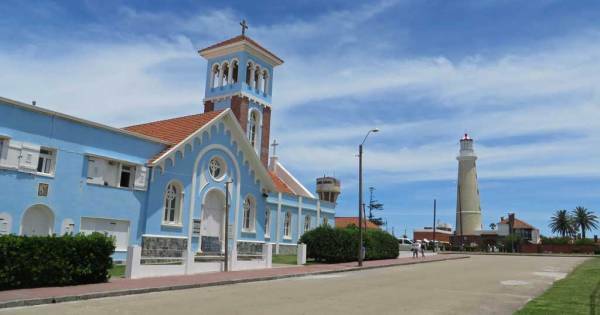 Then I asked to see Cathedral San Fernando in the adjacent suburb called Maldonado. The church was closed but I enjoyed seeing the old town area, where the regular people of the area live. From there we headed to Casapueblo. Casapueblo is an unusual structure of white domes and odd shapes that seems somewhat like it should be in Santorini. It was built as a “bird-nest” by the well known abstract artist Carlos Paez Vilario. He lived there until his death in 2014. Picasso, Dali and a host of other artists were friends with Carlos Paez Vilario. Casapueblo is open everyday of the year. The destination is very interesting even if you don’t enjoy abstract. 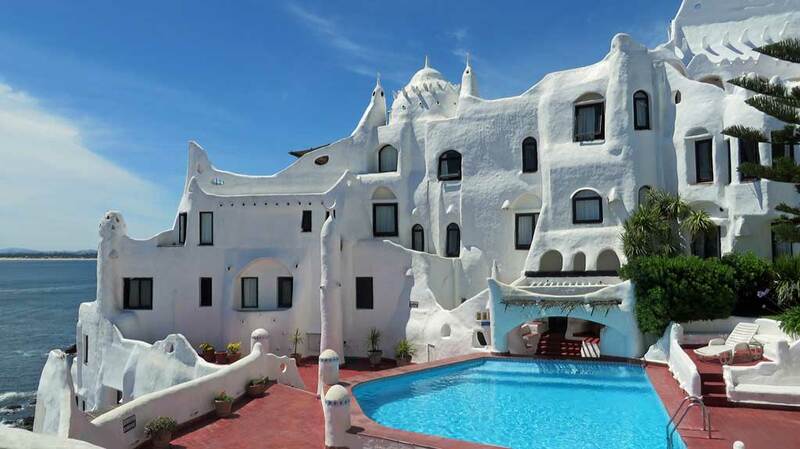 They accept US$ for admission and also operate Club Hotel Casapueblo. Next stop on the Oceania Marina itinerary, Punta Tombo, Argentina.